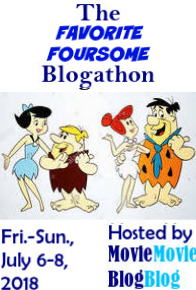 This post is part of the Nature’s Fury Blogathon, hosted by Barry at Cinematic Catharsis. Read the rest of the posts in this furious event HERE! Film and television have a long tradition of showing us how nature will one day turn against us, and most likely with help from human beings. Stephen King’s epic apocalyptic/post-apocalyptic novel The Stand is a tale of how government manipulation of the flu bug for militaristic purposes accidentally escapes from a lab and wipes out most of the population. My Project REUTSway Runner-up Story is Now Live on Their Blog! Last November I participated in REUTS Publications’ contest Project REUTSway. Each week, writers were given a prompt to use to retell a fairy tale. Each prompt was a supernatural creature (vampires, zombies, demons and werewolves). Two out of the three stories I submitted were chosen for an anthology, which will be published at a later date. My third story was a runner-up. Each week since February, REUTS has been featuring one of the runner-up stories on their blog. 2014 Starts on a Writing High Note: I’m a Project REUTSway Winner x 2 (and a half)! As mentioned in a previous post, I participated in Project REUTSway, a short story contest held by REUTS Publications. I found out a month ago that I was one of the finalists. Today the winners were announced and TWO out of my three stories were chosen for the anthology! My third story is a runner-up, which means it will be posted on their blog at some point in the coming year!